Come see our NEW WEBSITE! Other Downtown Merchants will be open as well! Glenda Smith Walters has written travel and human interest stories for Direct Pathways of High Point, along with writing columns for The Dispatch and The Thomasville Times. After winning a contest through Xulon Press, she published her first book entitled, This Place That I Go. The author continues to pursue a career in writing, while holding the title of Volunteer Coordinator for Liberty Hospice. The Place That I Go includes stories of angel experiences, visions, dreams, near-death, and answered prayers. This uplifting book makes a wonderful gift. The book also includes parables that can be ordered for framing. A portion of the proceeds go to Hospice care. The book can be purchased at: The Book Rack – Mocksville, Catherine’s Curtains – Lexington, The Depot – Dobson, Laurel Gray Vineyard – Hamptonville, The Painted Mermaid and Taylor’s Cuisine – Southport, and Amazon.com. Glenda Smith Walters can be booked for speaking engagements, book signings, and fundraising events at gswalters@hotmail.com. Check out THE BOOK RACK in downtown Mocksville for more information! Starts at The Station on Main at 185 N. Main St.
Bring a blanket and your holiday spirit. Tour Downtown Mocksville and its Christmas lights throughout Town and our Majestic Oak Trees. While Downtown take in some hot cocoa or ice cream at Scoops OR dine at Restaurant 101 or O’Callahans. Dewey’s Bakery has as downtown location for all of your Christmas goodies. Consignment Unlimited will be hosting a sale at the former Station On Main St. DOWNTOWN WILL BE HAVING HOLIDAY EVENTS THOSE DAYS AS WELL! New gift selection: Wind chimes, potttery, Christmas decorations, Webkins, picture frames, Fall decorations, stuffed animals, quilt racks, jewelry, Easter items and MUCH MORE! Furniture: Desk, dresser, coffee tables, microwave and chairs. We may have multiple sales throughout December…. Keep watching for more sale dates! 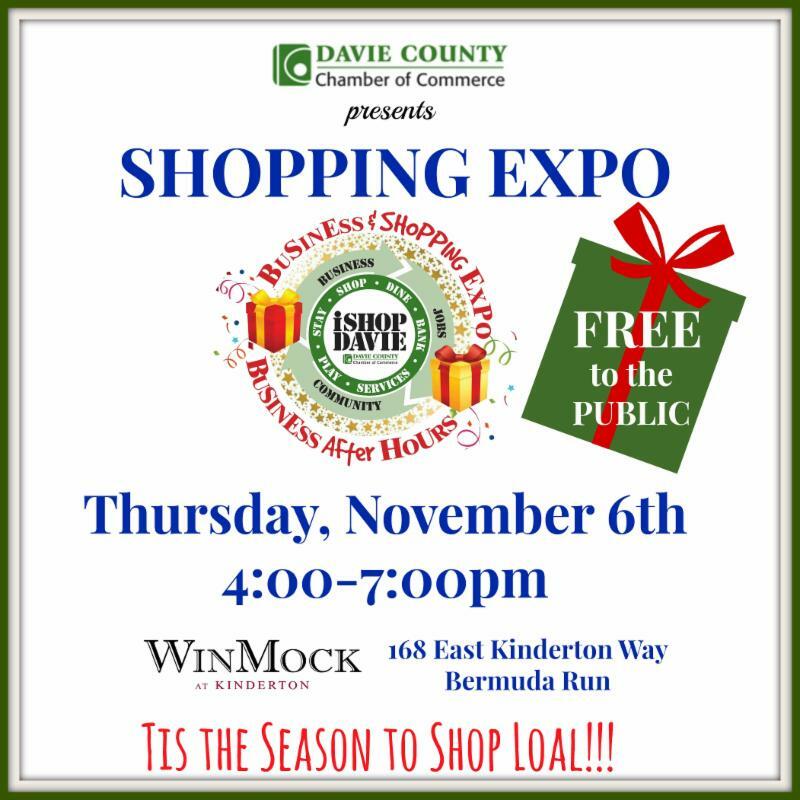 Check out Davie County on Facebook for more details.